This Soul Connection is dedicated to Oprah Winfrey and what we can learn about ourselves from our experiences of her as a grateful audience and what Linda and I have learned about ourselves as spiritual partners from our interactions with her over the years. Each of us can learn great things about ourselves from our interactions with people, if we set the intention. The Farewell Season of The Oprah Winfrey Show allowed millions of us to focus on this remarkable person and her contributions. Linda and I suggest that we use it to focus also on what we can learn about ourselves. Below are some of the things we have learned about ourselves. What have you learned about yourself? 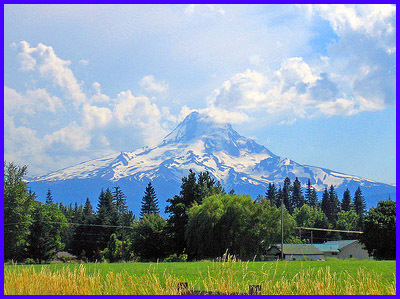 I hope that you will read my SoulBlog, Gratitude for Oprah. I shared in it some of the things I am grateful to Oprah for. But here in our Soul Connections newsletter I would like to share something Oprah said that has touched me deeply and continues to help me regain my balance when I lose it. "TV uses people," she told me after one of our shows, "but I use TV." I understood that in terms of the television industry and strived to apply it there, but I also understood it in terms of my life, where I strive to apply it every day. Most of us are lived by our lives. Our experiences come and go and we struggle to avoid pain and reach, often desperately, for happiness. We make choices without thinking, which means unconsciously, and so we continue to create what we have created in the past with the same choices. Our lives live us. We are victims of our lives or, at the very best, experiencers of our lives. Auto-pilot is all we know and all we can imagine, even though we long for health, balance, and joy. Someone leaves us and we are sad and look for another person to make us happy. We lose a job, or a partner, or we grow old and we search for another job, replace the partner, and try to stay young, all to feel better about ourselves and safe. Striving to feel valuable and safe is as common to us as water is to a fish or air to a bird in flight. If we were aware of our emotions, thoughts, and intentions, we could choose whether or not to act on them. For example, we could choose not to shout or withdraw emotionally when we become angry and instead speak and act from more healthy parts of our personality. Making choices like this repeatedly creates authentic power. You strive to change yourself, not other people. Manipulation and control become less important to you than your spiritual growth, or life mastery, and every experience you have offers you an opportunity to develop it. Eventually the need to manipulate and control people and circumstances in order to feel valuable and safe loses its power over you, and then it disappears. You become an artist and your life becomes your canvas. Only you can paint it bright, brilliant, and warm or dark, dim, and cold. Millions of us are now learning to create authentic power and support others in creating authentic power. Our future, if you choose it, is a world of people creating their experiences consciously, compassionately, and wisely, choice by choice - instead of merely experiencing their lives - and enjoying themselves in ways they could not have imagined. Replay of Historic Gary-Oprah Interview! In 2007 Oprah invited Gary to help her inaugurate her new Soul Series on satellite radio. Oprah is re-playing this historic interview three times! If you have Sirius or XM satellite radio, listen to Gary & Oprah on the following channels. for 7-day FREE trial instructions on our Facebook page. GARY ZUKAV and LINDA FRANCIS return to Canada! An expansion of perception unlike any before is emerging in millions of us. It illuminates our lives and capabilities in new ways, calls us to new goals, and reveals new paths. We are able to see ourselves and our lives from a new perspective, and the vista that opens before us is filled with opportunities that did not exist before. We are able to see that every interaction and circumstance is an opportunity to create bliss, even experiences that are painful. This expanded perception transforms every experience into a choice between contraction, limitation, and pain and expansion, freedom, and joy. 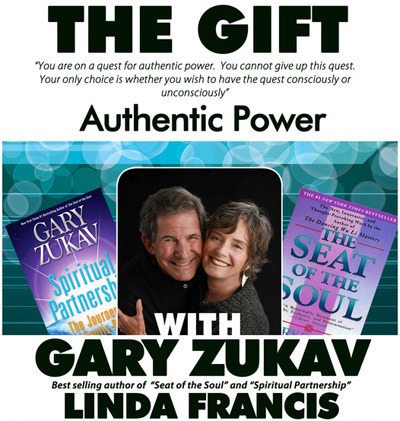 Join Gary Zukav to learn about The Gift and how you can use it. 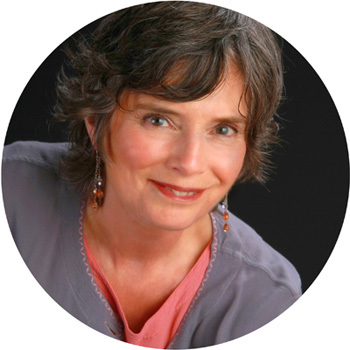 If you want to create or deepen your relationships but are sometimes swept away by destructive emotions, such as anger, jealousy, vengefulness, and fear, this workshop is a must for you. Gary Zukav and Linda Francis show you how to transform your relationships with your intimate partner, parents, children, co-workers, and friends into meaningful empowering dynamics. Learn to create satisfying relationships of substance and depth. Use your emotions, including the most painful such as anger, jealousy, anxiety, and vengefulness to create clarity, forgiveness, humbleness, and love. See for yourself why no other relationships are as appealing or transformative as spiritual partnerships and how to use them to change yourself in unimaginable ways. This workshop is for couples, individuals, families, and friends. Don't miss this remarkable transformative day. Videographers: Are you an experienced videographer who would like to volunteer for a special Seat of the Soul Institute project? Do you know one? Please email us at garyandlinda@seatofthesoul.com, and please put "videographer" in the subject line. We are looking forward to hearing from you. One of the great gifts Oprah offers me is the opportunity to look yet again at the part of my personality that feels inferior. Because of my commitment to creating authentic power, I'm always striving to be aware of all the parts of my personality, whether they create with harmony, cooperation, sharing, and reverence for Life (the loving parts) or are only interested in getting what they need in order to feel valuable and safe (the frightened parts). The part of me that feels inferior is one of the frightened parts. I have encountered this part throughout my life. I used to think it was "just who I am." After reading The Seat of the Soul in 1989, I realized that it is actually a part of my personality, not "who I really am!" And that I do not need to be controlled by it or any part of my personality that manipulates and controls to get agreement, feel better, be right, and more. When I met Gary a few years later, I felt this part of my personality become active very strongly. And I also saw clearly that I had a choice to act instead on loving parts of my personality that feel equal with him, and I began acting on those parts on a regular basis. When I began to feel inferior (and think he is better than me; he knows more than I do; etc.) or superior (he is not always balanced; he has issues too; etc. ), I challenged that part of me by acting instead on loving parts of my personality that see Gary as a soul like me, with frightened and loving parts of his personality like me. Now back to Oprah. When I can see her through loving parts of my personality, I know that the qualities I see in her - intelligence, compassion, courage, competence - are qualities that I also have. I see that she chooses to create with them instead of with her fears, and I am so inspired by her because I realize that I can do the same in my own way. Please let me know what significant gifts you have received from Oprah. You can email me at garyandlinda@seatofthesoul.com. see meaning in everyday circumstances." Copyright © 2011 Seat of the Soul Institute. All rights reserved.